When you consider that the average person will spend around 25 years of their life asleep, getting that best mattress to accommodate our sleeping needs is essential! Nowadays, with more and more designers combining various materials alongside enhancing their relieving properties, it’s never been easier to select the best mattress under $2000. If you’ve got warning signs that your mattress needs replacing or you’re just after a more comfortable, pain-free model, now may be the time to consider buying a new mattress. With incredible technology, newer mattresses are able to combine many enhanced features, such as cooling properties and multi-layers of varied memory foam types, to name but a few. This review selects eight of the best mattresses currently retailing on Amazon and offers an in-depth analysis of each one. Highlighting what we consider to be those most crucial of features, here we concentrate on mattress type, thickness and height, firmness options, and what sizes are available. Giving you a final rating for each model selected, we then sum up their pros and any possible cons – emphasizing what you could expect from each one. Undertaking a thorough search of the market for you, we’ve selected those mattresses we feel offer perfect performance and all at a great value, displaying them in an informative table. Also, we’ve included a small, but helpful buying guide to further expand on the features we mention in our reviews. 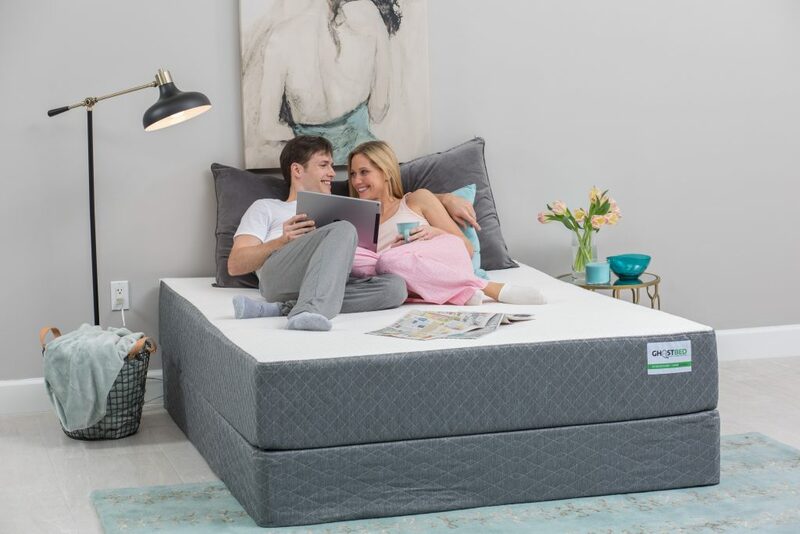 Answering a couple of commonly asked questions about such products, we believe that all our information combined here will enable you to make that final purchase for the best mattress under $2000. The TEMPUR-Flex Hybrid Prima Medium Mattress is our Editor’s choice for Best All-Around Mattress. This is a fantastic model which works to combine all the benefits you’d expect from a TEMPUR material choice, alongside a newer and dynamic responsive feel as well. 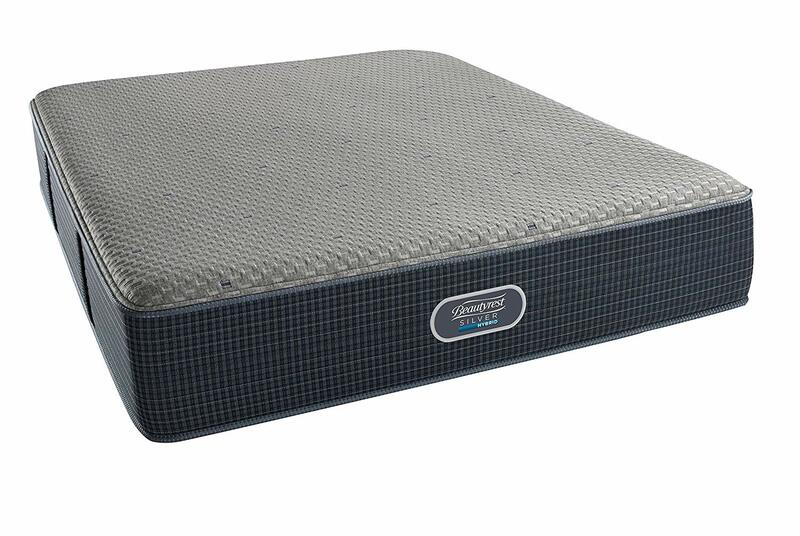 The Prima style is ten inches thick and offers a medium firm sleeping surface overall. The active support layer which this mattress boasts works to activate instantly and positively to your body’s movement each time. It does this through a layer of precession and convenient coiling which is claimed to work in absolute harmony with TEMPUR’s response material layer. This response layer works to adapt to your entire body and give you the necessary level of support, motion dispersal, and indeed pressure relief to suit your needs. 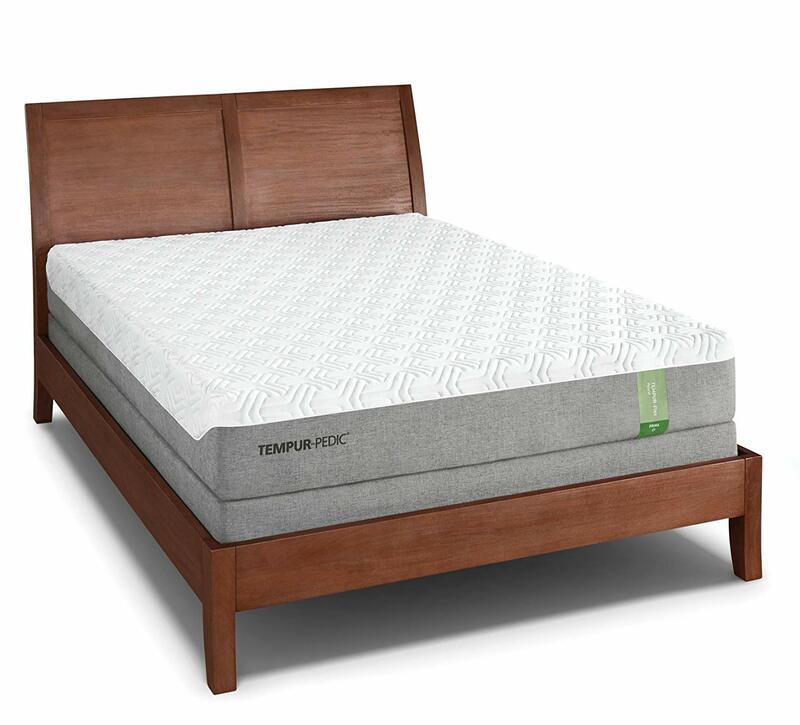 Also, this TEMPUR layer acts as a base to encourage and diffuse any heat away from the mattress resulting in a more relaxed night’s sleep every time. In addition to this cooling base, the top layer of this mattress is infused with a SmartClimate System. This ensures that the surface of the mattress is combined with moisture-wicking fabric, thereby drawing away any moisture present as you lay upon it. Furthermore, the inner layer here will ensure a cool-to-the-touch feel to enhance that added comfort. Complete with an EasyRefresh cover which you can zip on and off, this can also be washed and replaced with ease when needed. 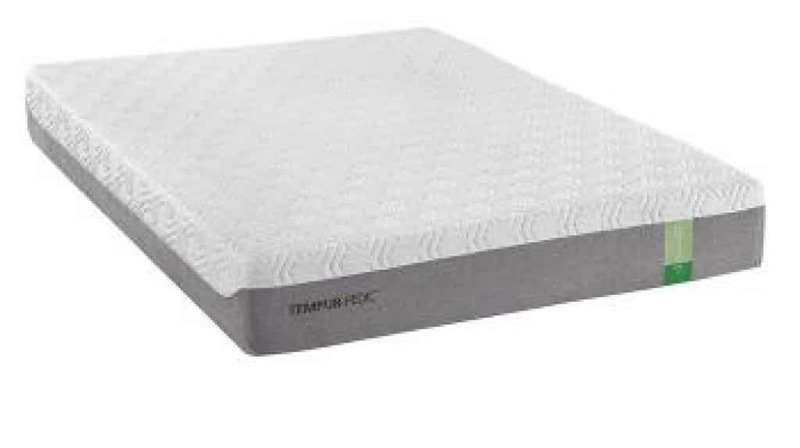 Customers of the TEMPUR-Flex Hybrid Prima Medium Mattress find this a high-quality model in both feel and function, with many highlighting the extreme comfort it offers continually. Highest priced mattress on the list! The Dreamfoam Bedding Elements Latex Magnolia 10″ Mattress is our choice for the Best Ultra Plush Mattress. Visually modern and proudly made in the USA, this is a full latex mattress throughout that combines a custom knit alongside custom crafting throughout its design. Available in a choice of firmness levels to suit, it has a perfect blend of makeup in its ten inches of construction. 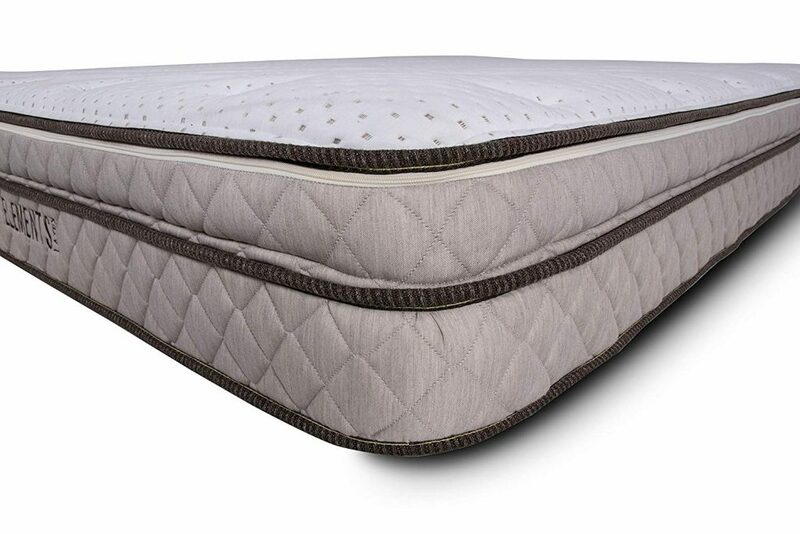 One inch is a quilted cover that gives you that ultra-plush feel alongside a more breathable sleeping surface, as well as offering you the choice to adjust your firmness level here. This cover also comes with a handy Eurotop zipper enclosure. Three inches is comprised of a Talalaly Latex layer, while the remaining six inches comes from a firmer Talalaly latex base. This is the base which works to provide the deepest of compression for the ultimate in support and simultaneously promotes better circulation alleviating any high blood pressure – that is usually present when problematic tossing and turning throughout the night is continual. As a result of this superb makeup, you are guaranteed to sleep soundly and then wake refreshed and renewed with increased levels of blood flow and oxygenation from the mattresses soothing properties. Dreamfoam prides themselves on their skills base, and this is evident in their craftsmanship of designing and detailing throughout this model. Customers of the Dreamfoam Bedding Elements Latex Magnolia 10″ Mattress highly rate this choice as amongst one of the most comfortable they’ve ever experienced! It’s also claimed to offer optimal support throughout and over time. The Pure Green Natural Latex Mattress has our vote for the Best Natural Latex Mattress. This is a pure makeup of 100% natural latex foam. Therefore, you can be assured you aren’t sleeping on any poly foam, blended latex foam or synthetic latex foam at all. A Greenguard Gold Certificated product, there are also no barrier cloths or fire retardant chemicals present in this choice. What there is here is a six-inch layer of 100% pure green natural latex foam which offers the most supportive and strong of bases. Then there are two inches on top of this base of very supportive comfort layers of pure green 100% natural latex foam. This is combined to offer a continued favorable surface area but, while doing so, gives a softer feel all-around. Finally, to top this luxurious feel off, there is approximately a one-inch layer of wool, which is quilted on the mattress cover itself. This further adds an element of height to the mattress while boosting that improved comfort level – and even this is a healthier option as 100% organic New Zealand wool and 100% organic cotton combined! This mattress aims to provide firmer support alongside a breathable construction throughout. 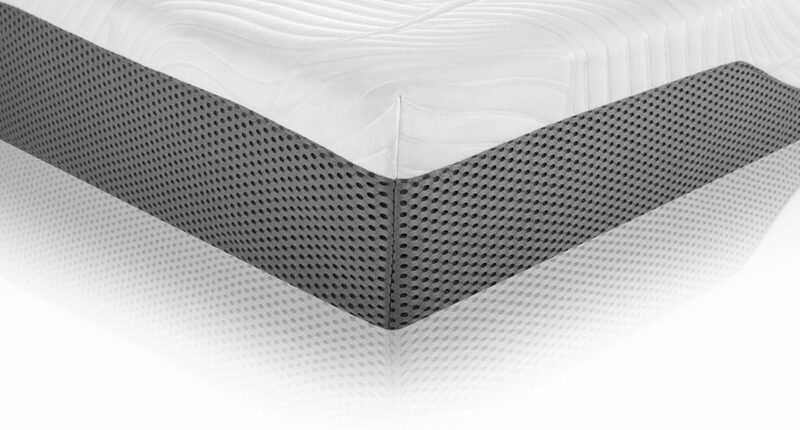 The tiny air chambers present in the natural foam here work to easily circulate air throughout the mattress, keeping it cool and fresh throughout use. Customers of the Pure Green Natural Latex Mattress love being able to relax and sleep on a model which is totally natural throughout. It’s also claimed to offer instant relief from many previous sleeping issues due to its extreme comfort levels. Some say the medium firm is incredibly firm! The GhostBed Luxe Mattress tops our list here for the Best Cooling Technology Mattress. 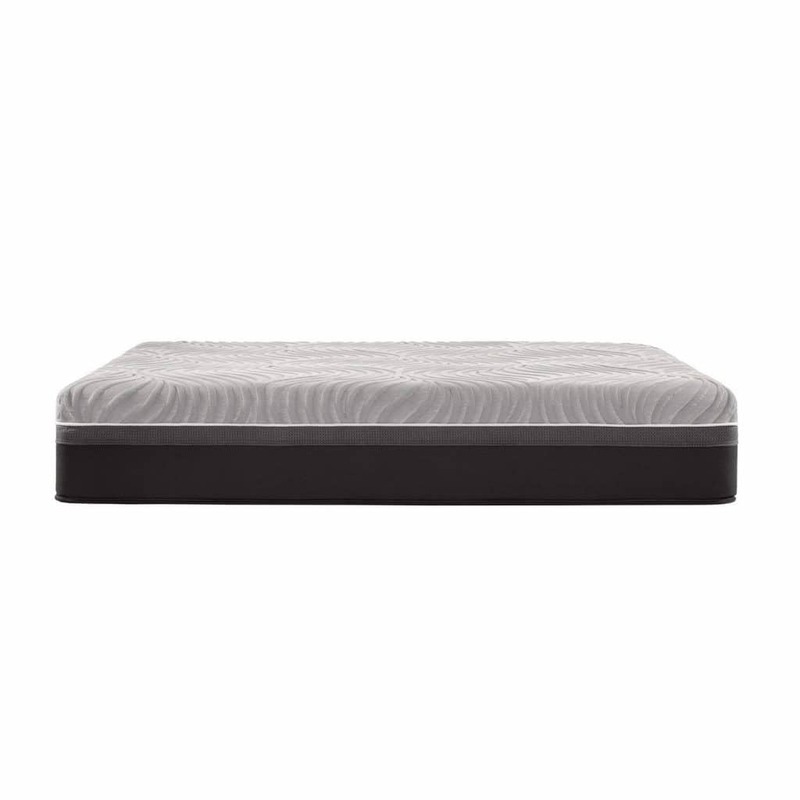 This is due to both its seven-layer cooling technology and its cutting edge sleep technology combined! 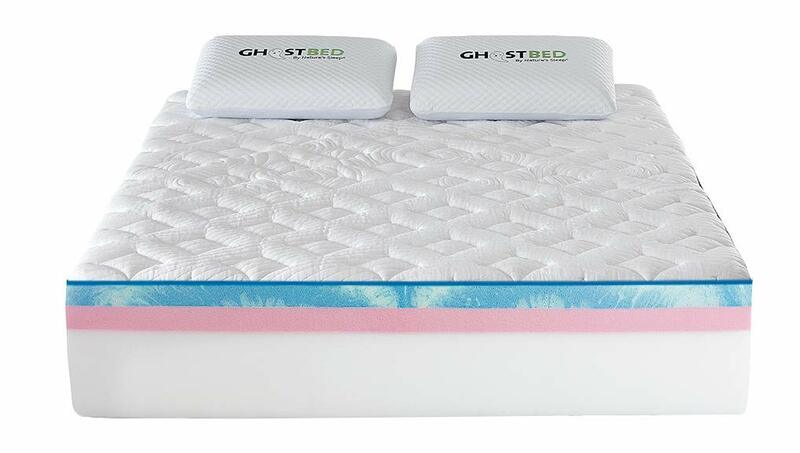 Consisting of a ghost ice surface, ghost ice fabric, cooling fiber, quilted gel memory foam, standard gel memory foam and a ghost bounce layer this combines the best cooling technology throughout each layer to induce optimal support at the core! The fantastic sleep technology comes from the use of its Ghost Ice through its construction. When used in its fabric and surface, this unique Japanese formation works at capturing and storing the heat in a scientific manner to instead produce a cooler sleeping environment throughout. With cooling properties woven into the actual fibers of the yarn used, the addition of a ghost bounce layer further assures a responsive and resilient design which works at recreating that beautiful enigma of floating – even though you never technically leave the ground! With an instant cooling as soon as you lay down on this mattress, this coolness works throughout the night to ensure you wake up feeling refreshed every morning. 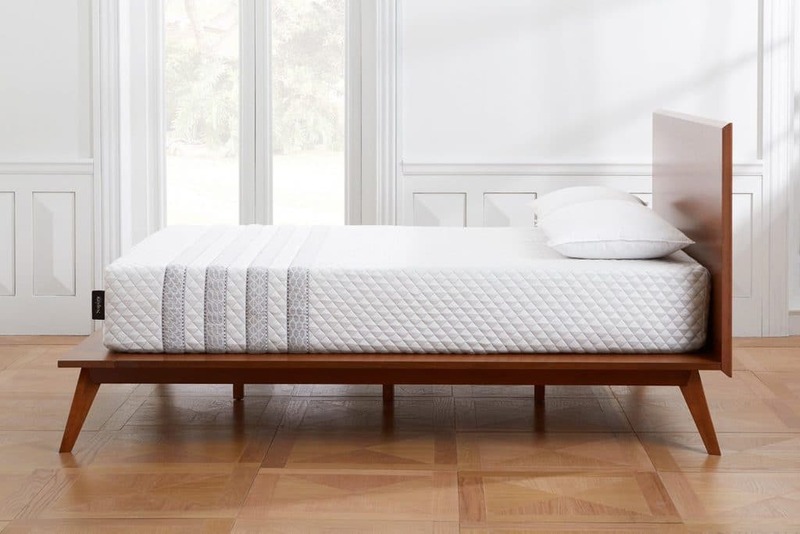 GhostBed believes this mattress offers the perfect balance between medium to firm with a plushness handling throughout and, as a result, claim this as an ideal accompaniment for correct spinal health. Customers of the GhostBed Luxe Mattress are delighted with the cooling properties of this bed which gets it some fantastic high ratings. With many claiming it reinforces the perfect spinal alignment, it’s considered the best memory foam mattress under 2000. The Leesa Sapira Luxury Hybrid Mattress is our choice here for the most responsive mattress. This is an eleven-inch polyester mattress that adapts to your body as you move throughout the night. 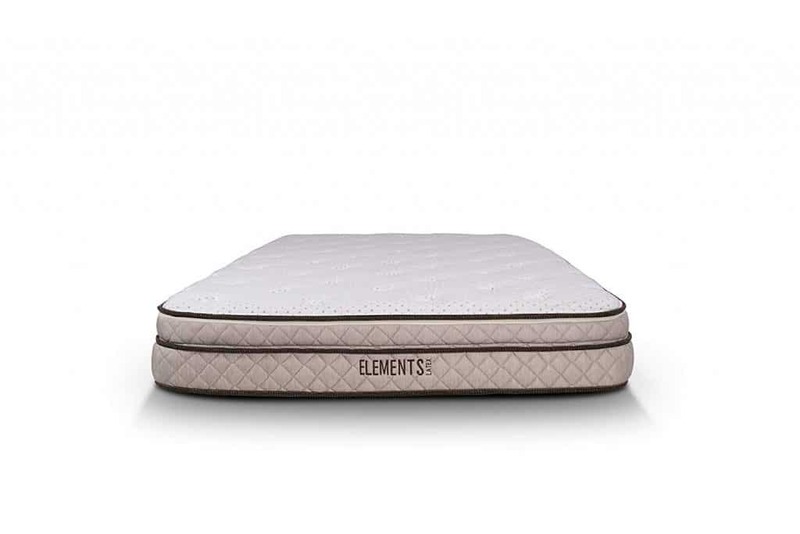 Combining layers of premium foam alongside pocket springs that are individually wrapped, this is the more superior of edge to edge support mattress choices. With thoughtful designing implemented throughout, bringing you the best of both worlds, the top layer features a cooling Avena foam material while the remaining make-up consists of contouring memory foam with a recovery layer and active pocket spring layer. This is all enhanced with edge support all-round. 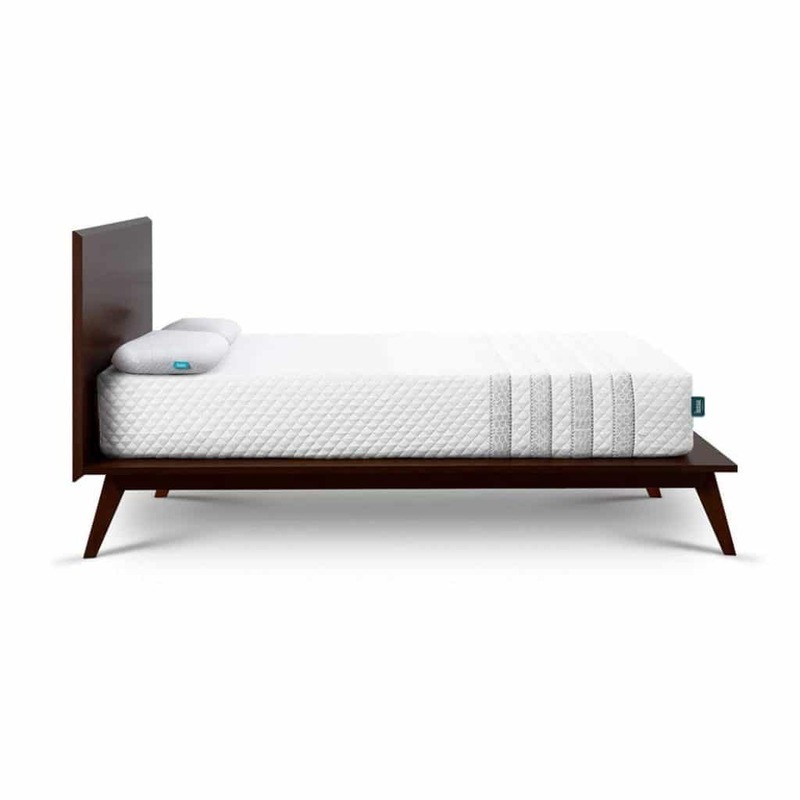 Emphasizing a luxurious choice, this mattress aims to actively respond to your body’s shape as you sleep. This means it gently pushes back on those pressure points to give you not just a true rest but ultimately a luxurious one too! 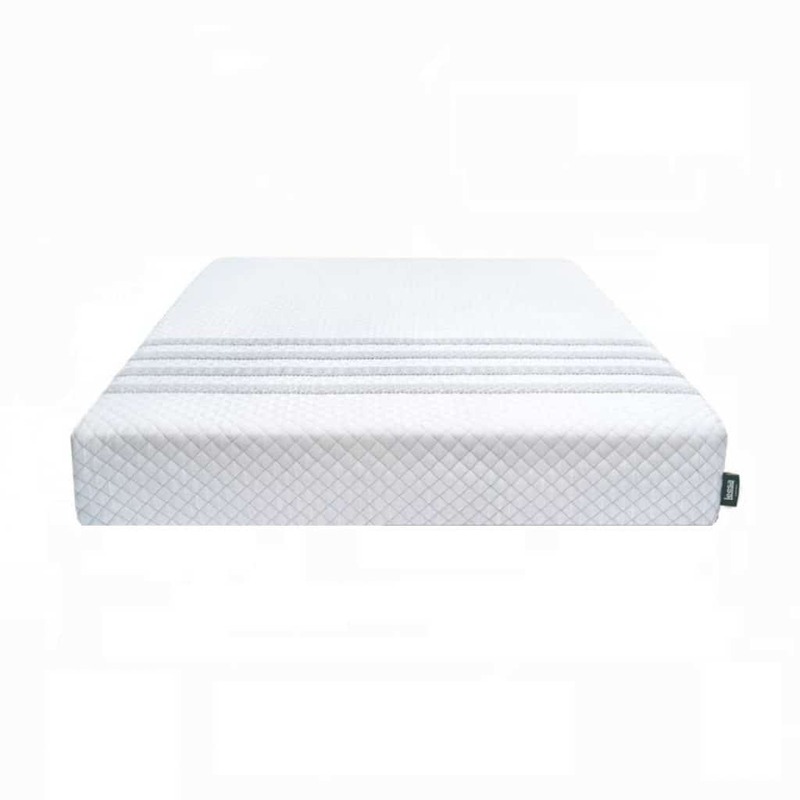 The spring technology employed in the layers of this mattress is an advanced pocket-spring coil technology and rests entirely with the high performance, from which this USA company has implemented into its construction. The edge support is also a great benefit as it offers an incredible edge to edge support which is all due to its 1,000 plus individually wrapped pocket springs. 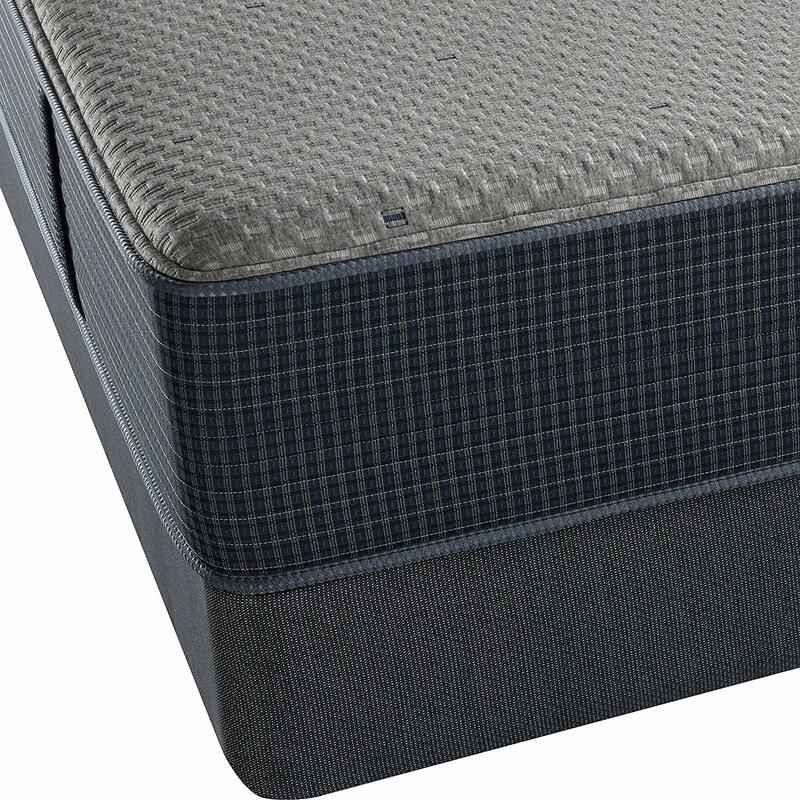 Complete with a mattress cover, this addition is highly breathable and poses tapered edges making it virtually seamless and effortlessly comfortable. Customers of the Leesa Sapira Luxury Hybrid Mattress claim this to be a perfect firm but unmovable comfortable mattress, which gets to work on alleviating many sleep problems experienced for a beautiful night’s rest every time. 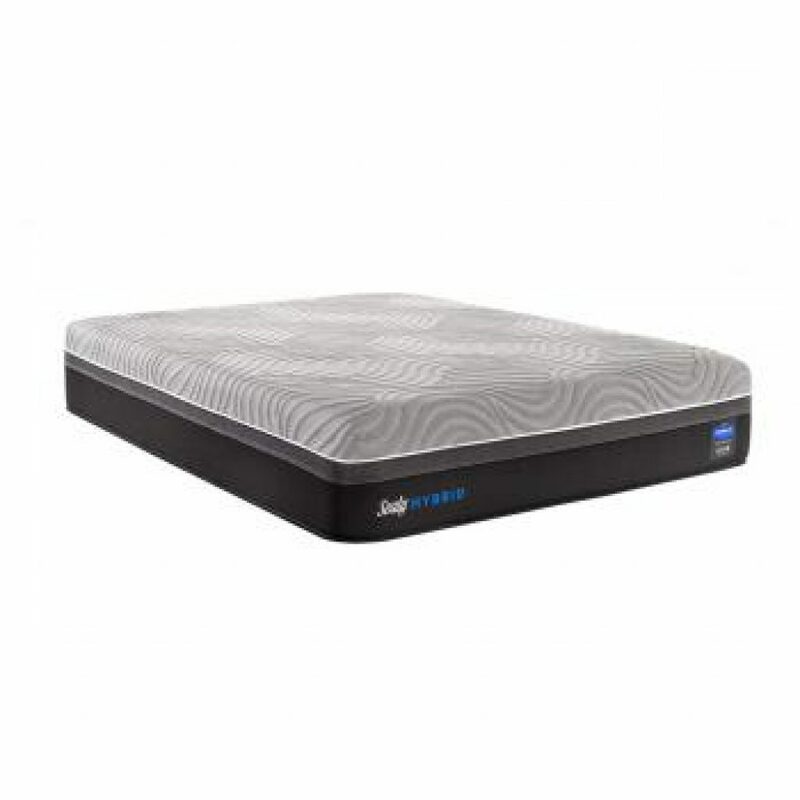 This Sealy model is a combination of foam and innersprings and provides a medium to firm 13 inches of surface area. Claimed to be amongst one of the best hybrid models, the focus of this mattress is to combine innersprings with foam and Posturepedic technology to produce support which is reinforced where the body is the heaviest. This ensures that over time, no sagging takes place and the mattress continues to provide support where needed, maintaining a regular new surface feel as a result! The memory foam has an element of cooling properties with a 1.5 inch of immersion of advanced cooling material used here. 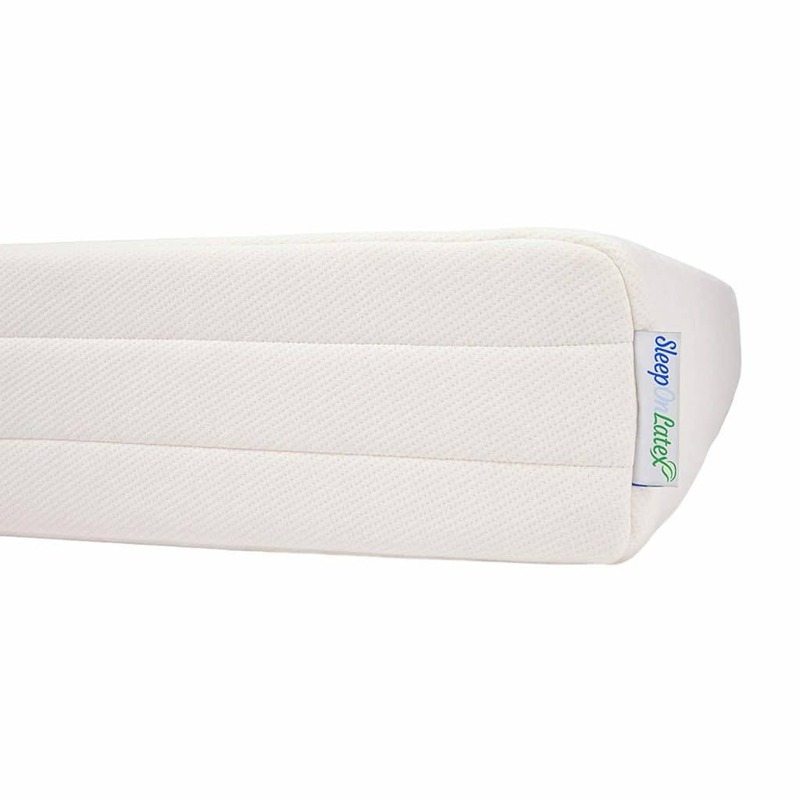 There is also two-inch SealyCushion elements incorporated which are an extra soft foam pillowtop to enhance the cushiest overall feel of the mattress. Added to this, are the densely packed and Pro HD response Zoned coils, all meticulously placed in a system to target support while reducing any motion transfer. When combined together, all these materials promote the best conforming cooling and all over support which is tailored to your individual body shape continually. Furthermore, a DuraFlex coil edge of the highest quality is used as support all around the edges of this model, which promotes cushioning support where you need it the most. Included with this mattress is a mid-loft knit cover. Customers of the Sealy Posturepedic Hybrid Performance Kelburn Mattress find that its hybrid combination offers an exceptional sleeping surface which is not only supportive but equally comfortable throughout. The Beautyrest Silver Hybrid Plush 2000 is our selection for the Best Hybrid Mattress. This offers a collection of features which combined work to produce the most energizing night’s sleep, working on restoring your body and mind for the next day! The critical collection features of this model have a combination of three particular foam types. 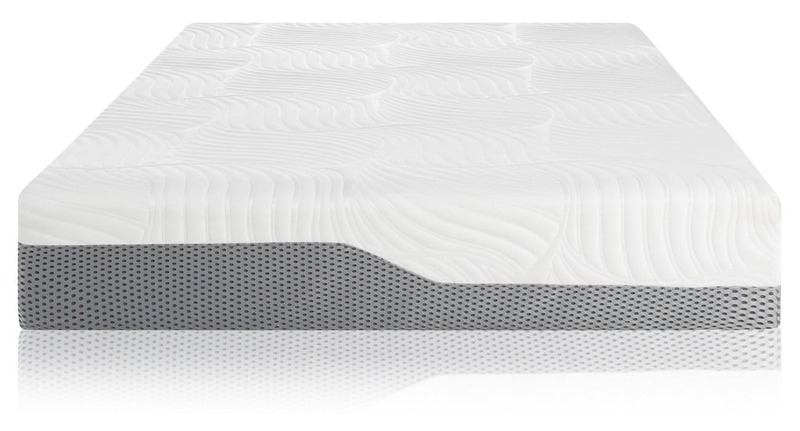 The first is a Dual Cool memory foam technology. This works to aid heat away from the mattress to make it more relaxed and more comfortable as a result. It also encourages your body to conform to the top layers of the bed. Finally, with anti-microbial properties dotted throughout, the mattress is kept at its freshest eliminating any odor-causing bacteria, mildew, mold – thus preventing any subsequent growth long-term. Secondly, there is a layer of Air Cool memory gel foam included. This works to give you the most rested and comforted sleep throughout by promoting freedom of movement and ensuring excellent pressure relief. Thirdly, the Gel Touch foam used here finishes off the sheer comfort aspect of this mattress by giving an exceptional conformability which equals the best soothing comfort all-round. 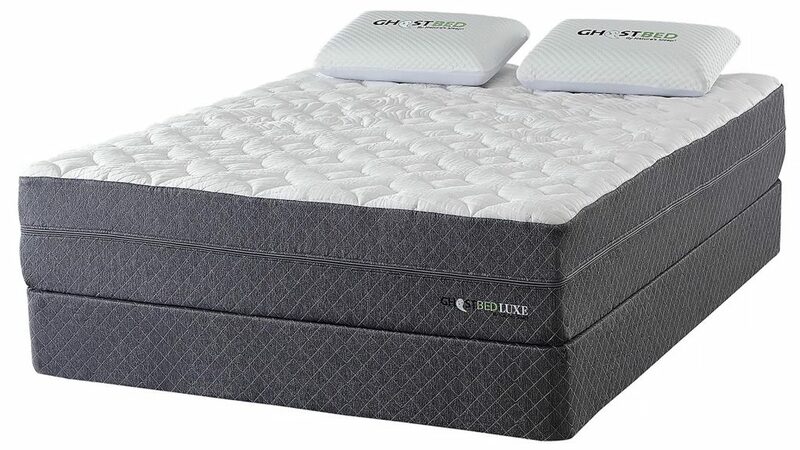 Featuring other benefits such as a no-flip design, meaning you never have to flip or rotate to extend its life, stability at the mattress edges for ongoing support, and motion separation for undisturbed sleeping, this pocket coiled technology model also allows a choice of plush or comfort. 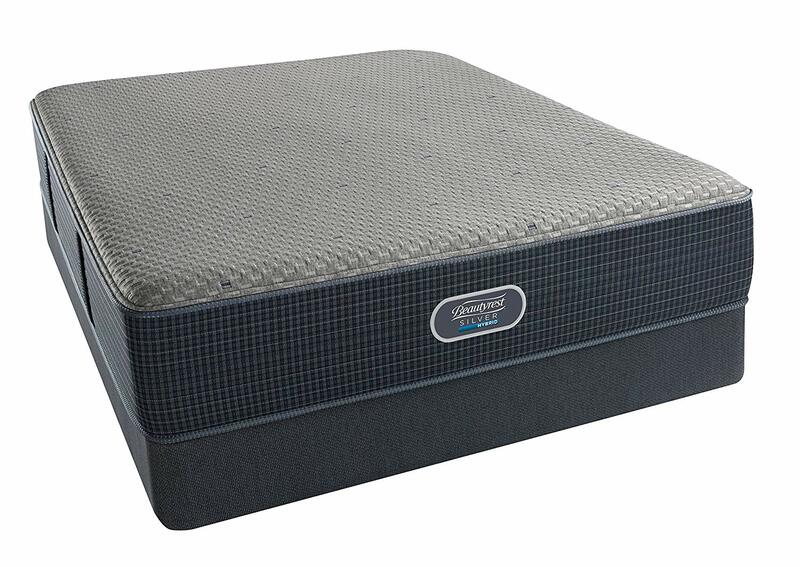 Customers of the Beautyrest Silver Hybrid Plush 2000 find this utterly supportive as well as extremely comfortable. The durability of this model also gets some fantastic mentions. 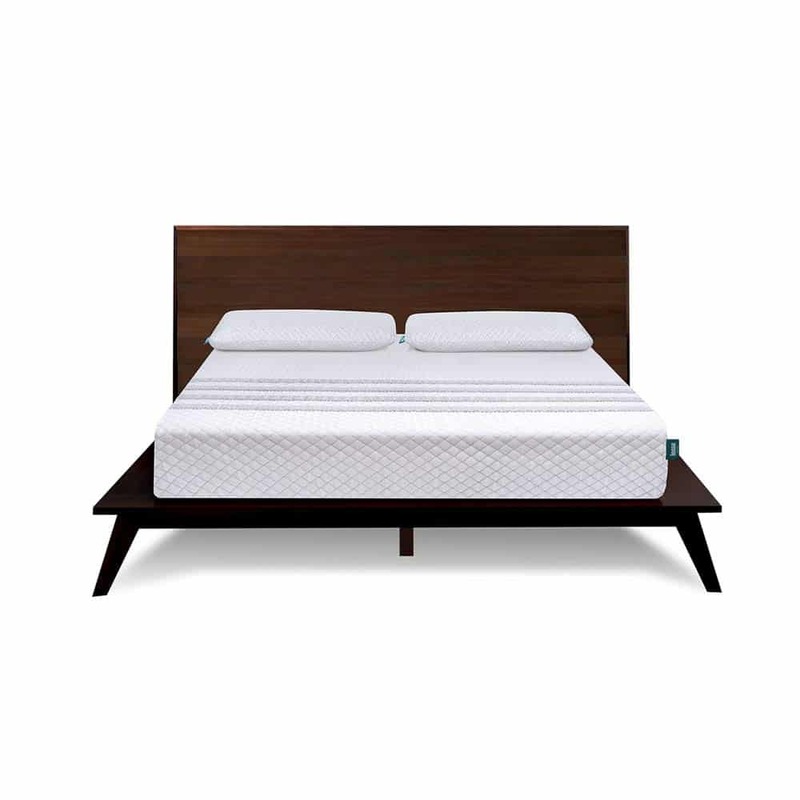 The Voila Box Luxury Hybrid Coil-Spring Latex Mattress is our final mattress here and Budget Pick of the bunch. The lower priced on this list, its outstanding performance still makes it worthy of our best mattress selection. 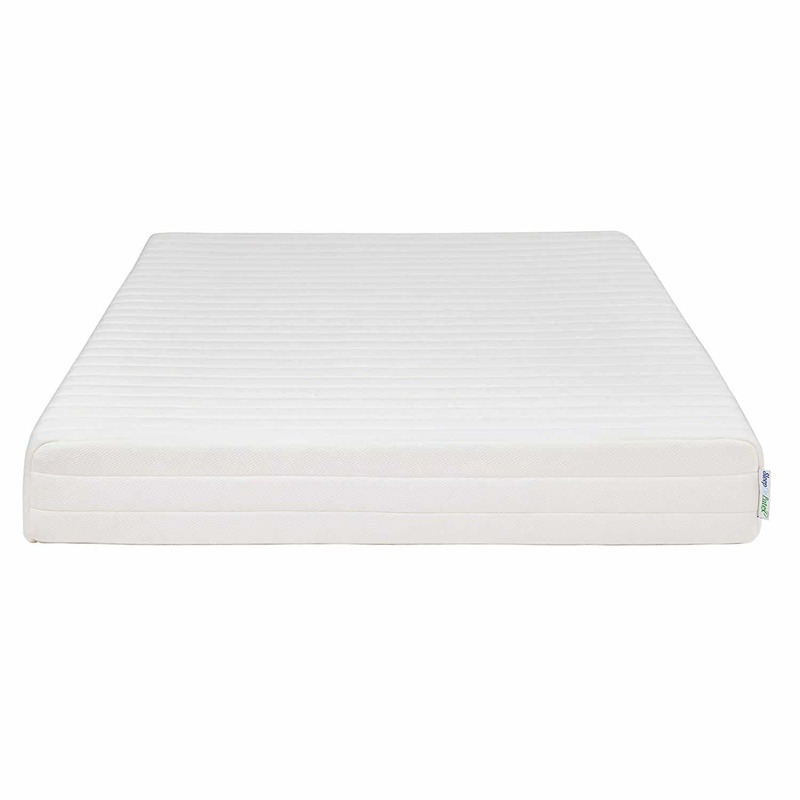 The plushest choice, this is actually rated one of the top innerspring mattress brands on the market and offers a luxurious sleeping experience which doesn’t sacrifice on quality. 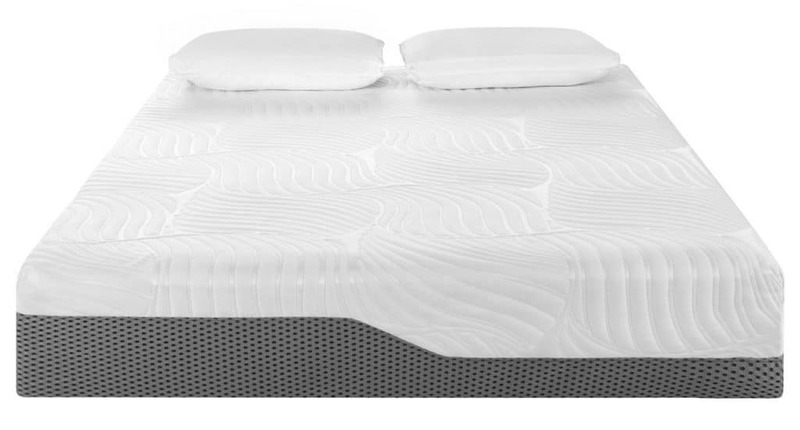 This combines pocket coil technology of 768-counted five zone pockets, a gel-infused memory and latex foam makeup, an airflow system throughout, and a side wall support which is triple edged. 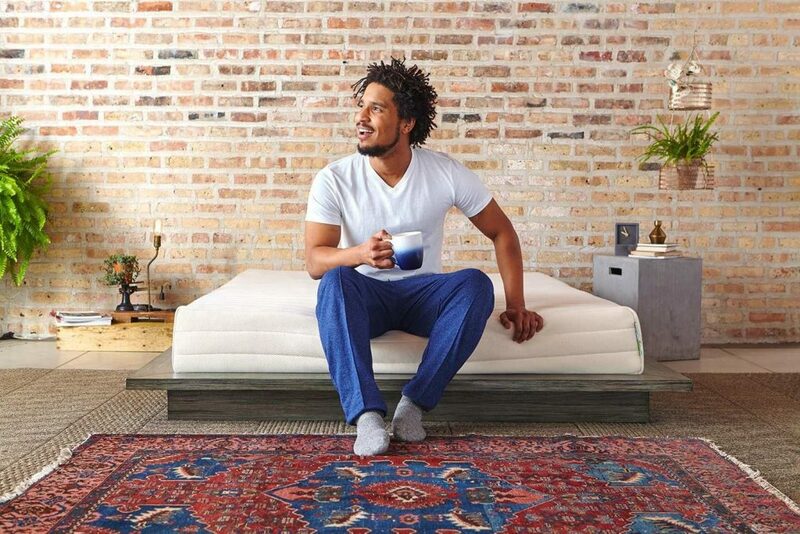 Overall the aim of all of the wonderful properties combined works to give you a more cooling, comfortable and thoroughly supportive mattress which Voila Box believes is unmatched by any others on the market! 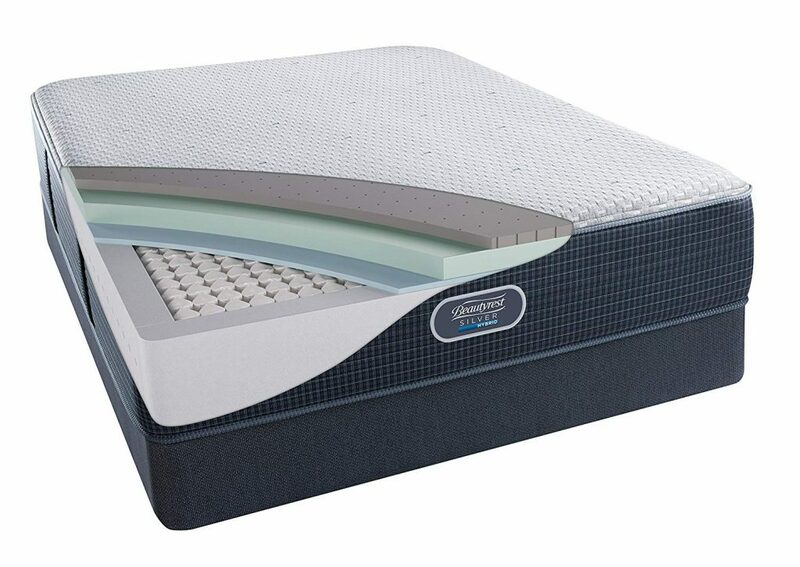 With the option to thoroughly customize your firmness levels, this top luxury hybrid model works on ensuring all of its layers are perfectly placed in the right order to maximize your comfort and indeed sleep pattern every time. Aiming to enhance your health as you sleep, and improve your health and overall well-being upon waking, the company believe they have found a cut-price solution here which doesn’t skimp on quality but instead relies on advanced engineering and innovation. Customers of the Voila Box Luxury Hybrid Coil-Spring Latex Mattress offer some high rated feedback on the ability to derive a super luxurious make of mattress at just a fraction of the price. Considered the best king mattress under 2000 and the best queen mattress under 2000, this is a more affordable solution for many. Some issues with these mattresses being a little too firm! Now you’ve had the chance to look at eight of the best mattresses under $2000, you may be considering making that final purchase. But, before you part with your hard earned money, why not take a few minutes to read through the following buying guide? This is a small section that we’ve put together to discuss a little further those features we mentioned in the above reviews. This is to ensure that you select that best mattress which can offer you all the features you require for your individual needs. Expanding further on those areas we feel you may want to concentrate on, here we emphasize the more critical of elements you’ll want to consider when selecting your perfect mattress type. Though it may seem like a small investment initially, we strongly recommend you spend as much as you can afford on your mattress. Experts suggest changing your mattress around every seven to ten years; so, this investment certainly pays for itself when you consider how long you’ll be sleeping on it! By investing in sound quality and higher priced models, you ensure that your mattress will last the distance and offer durability to get you through these years while continuing to provide a good level of support throughout. 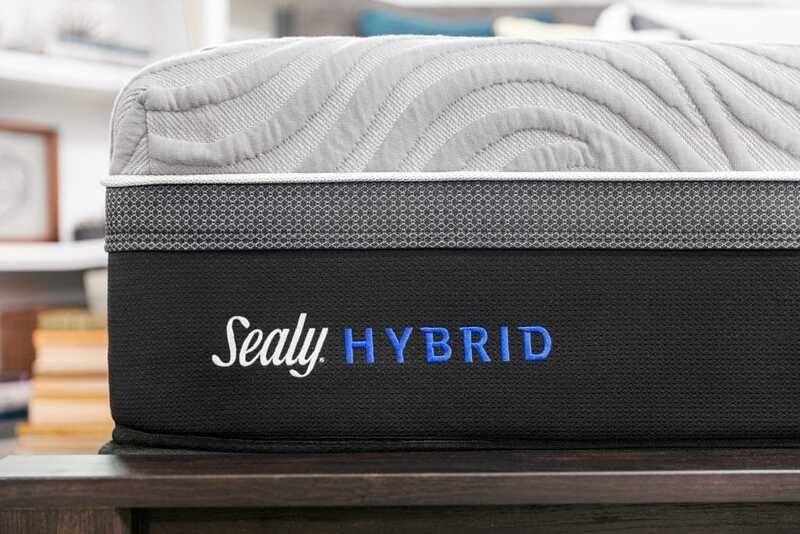 Though there may be cheaper options on the market, they will swiftly lose their support and encourage various problematic sleeping issues as time goes on – therefore, you’ll end up having to replace them regularly, thus paying much more long term! When it comes to choosing a mattress, you’ll want to ensure that you find several features and options before you make your final decision. Not all mattresses will be suitable, just like one size does not fit all. Therefore, it pays to ensure you take time to check the type of mattress which would suit your sleeping requirements, its thickness or height, the firmness levels, the appropriate sizes to match your bed’s base, whether it’s a CertiPUR-US model, offers a warranty, and even whether it comes with a cover as standard. Four standard types of mattresses seem to be the most popular choices for buyers today. These include memory foam mattresses, latex mattresses, innerspring mattresses, and hybrid mattresses. We’ve made sure to include a wide selection in our reviewed models based around these popular choices. Furthermore, there is a growing trend to combine a couple of the most popular choices into the one mattress now, ensuring you get the best of each mattress design in just the one final product. The thickness – that is the height of your mattress – is important as not only will it make a difference visually when placed on your bed and in the bedroom, but its construction needs to offer practicality in terms of getting on and off the bed and indeed when sleeping on it. Standard mattresses usually range from 8 to 12 inches, while those in the medium to thick types, as reviewed here, tend to fall within the 12 to 20 inches range. Our reviewed models here start from the Pure Green Natural Latex Mattress at 9 inches to the Beautyrest Silver Hybrid Plush 2000 at 13.5 inches, and we feel this is the perfect selection for such a price range. 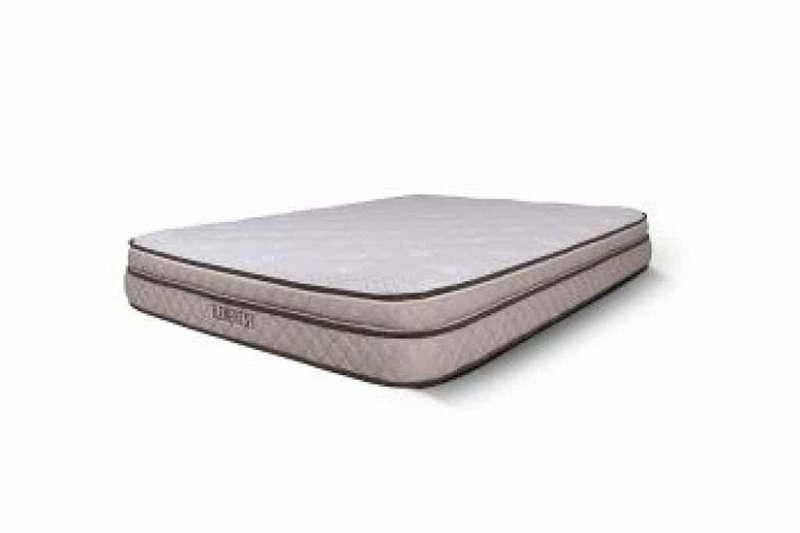 However, you may find some mattresses offer a variety of thickness levels in the one product, such as the Voila Box Luxury Hybrid Coil-Spring Latex Mattress, which offers 10, 11, and 12 inches to choose from. The firmness of your mattress may be more personal preference but, equally, different firmness types suit varied sleeping positions and habits. With such levels ranging from soft to medium and firm, with extra, ultra and plush titles in between, it’s certainly worth considering what your usual sleeping preference is before you select the firmness level of any mattress you buy. It’s highly advisable that when you choose your mattress, you get the most appropriate of sizes that fits accordingly to your bed’s frame. All of these mattresses are available in a wide range of sizes that should fit standard bed types including, Twin, Twin XL, Full, Queen, King, and California King as standard. A mattress which is too small for the bed frame will be prone to movement and one which is too big for the frame will not offer appropriate support. Make sure you know the measurements of your bed frame before you select your mattress size. Does it come with a cover? If you’re looking to prolong the life of your mattress, make it more comfortable or even aim to reduce the heat of the bed or the temperature of your own body heat throughout the night, you may want to look for those mattresses that offer an additional cover with your purchase. From an easy to remove cover that is refreshing, such as the TEMPUR-Flex Hybrid Prima Medium Mattress, an ultra-plush quilted cover, such as the Dreamfoam Bedding Elements Magnolia Mattress, or an increased booster type cover such as the Pure Green Natural Latex Mattress. Having a cover included with your mattress is a great additional find which will offer some wonderful added benefits. A CertiPUR-US certification shows that your choice of a foam mattress is a healthy and sustainable choice. These foams are made without any harmful chemicals or substances and are regulated as safer to both the home and broader environment as a result. 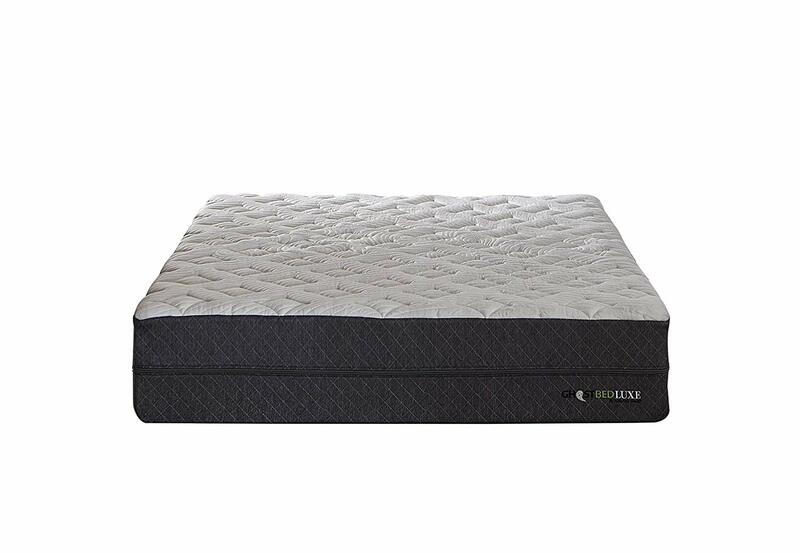 Such mattresses will have been tested and undergone rigorous trials to gain their certification from CertiPUR-US, such as those reviewed here like the GhostBed Luxe Mattress and the Voila Box Luxury Hybrid Coil-Spring Latex Mattress. If you’re planning on purchasing the best mattress under 2000 dollars, you’ll more than likely want to ensure you get a good warranty for your money. Warranties offer additional peace of mind should something happen to your mattress, and you need to get it fixed or even replaced. Though you will have to abide by specific requirements to ensure your warranty remains intact, it’s certainly worth considering this when spending so much on a mattress. Most mattresses at this price offer a fantastic ten-year guarantee as standard, as most of the models here do. Just be sure to read the terms and conditions attached to each one before you make your decision if this is an essential factor for you. Try to keep pets away from the mattress, as well as any bouncy children! What is a box spring, and do I need one? A box spring is merely a method of raising your bed’s profile. Most bed frames use bed slats for support, and therefore a box spring is not necessary. However, if you’re keen on building your mattress height, creating a flatter and firmer surface for your mattress to rest on, or just want to reduce the wear and tear to your mattress, you can invest in a box spring to help you achieve this. It’s worth noting that most new mattresses don’t require the use of a box spring; however, some warranties may request it – so be sure to read your warranty before making your decision. How do I make my mattress more comfortable if I sleep hot? Some people find that their body temperature increases throughout the night, and as a consequence this makes it uncomfortable for them to get a good night’s sleep. However, as with most of the mattresses reviewed here, improvements are being made repeatedly to ensure the materials included in mattresses work to keep the surface area and indeed insides of your mattress cooler. 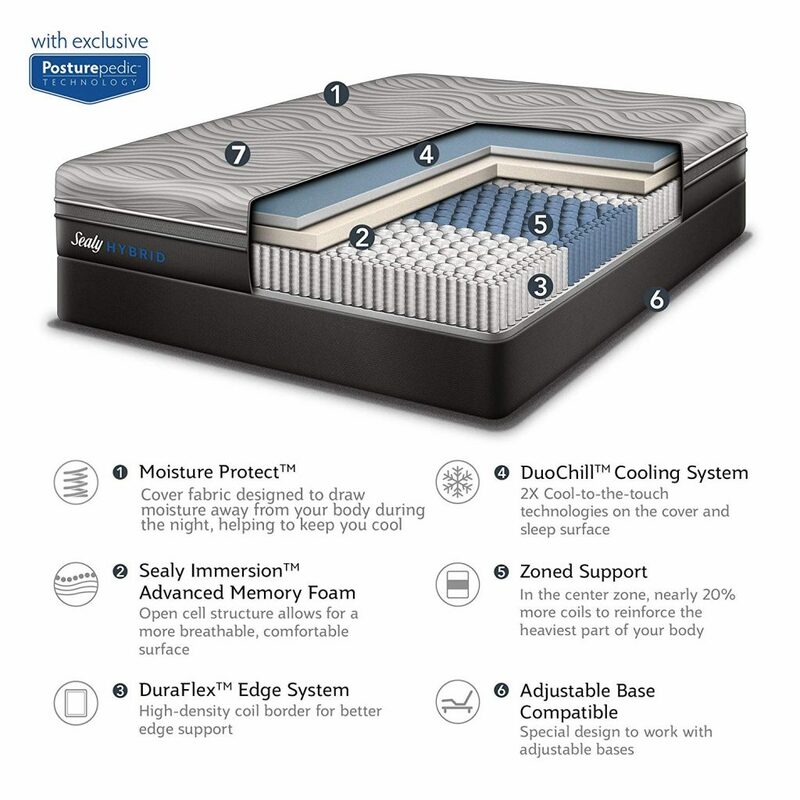 This consists of mattresses that boast cooling gels and cooling technology. However, if you want to increase this cooling element, you can also opt to place a cooling mattress topper, or a cooling mattress cover over your mattress. What difference do innerspring coils make? Innerspring coils work to offer a more traditional feel to mattresses. Traditional mattresses were made up of interconnected coils which gave the bed its structure. However, with the invention of foam mattresses and their vast popularity more and more people began to shun innerspring coils. Yet, not everyone likes a purely solid foam make up of mattress. Therefore, innerspring coils are now used as a continued durable solution that is independent and offers greater comfort. We hope this informative review guide has helped you further in making your final decision. Hopefully, by combining our detailed reviews, buying guide, and expert rating system, you’ll now have a clearer idea of what to expect from a mattress in this price range. 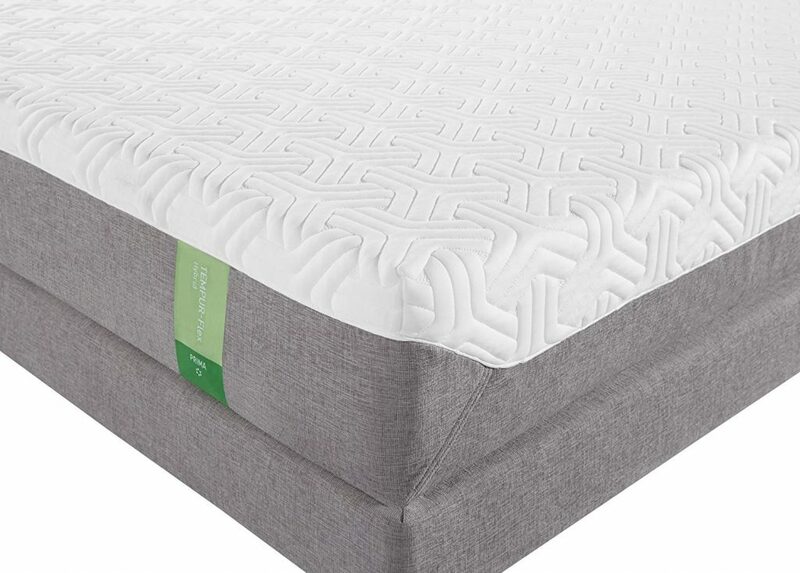 At the top of our list here and first place is our Editor’s choice, the TEMPUR-Flex Hybrid Prima Medium Mattress as a best all-around model. We like its use of a SmartClimate System and general inclusion of TEMPUR material throughout. Our second choice is the Dreamfoam Bedding Elements Latex Mattress as one of the Best Ultra Plush Mattresses. 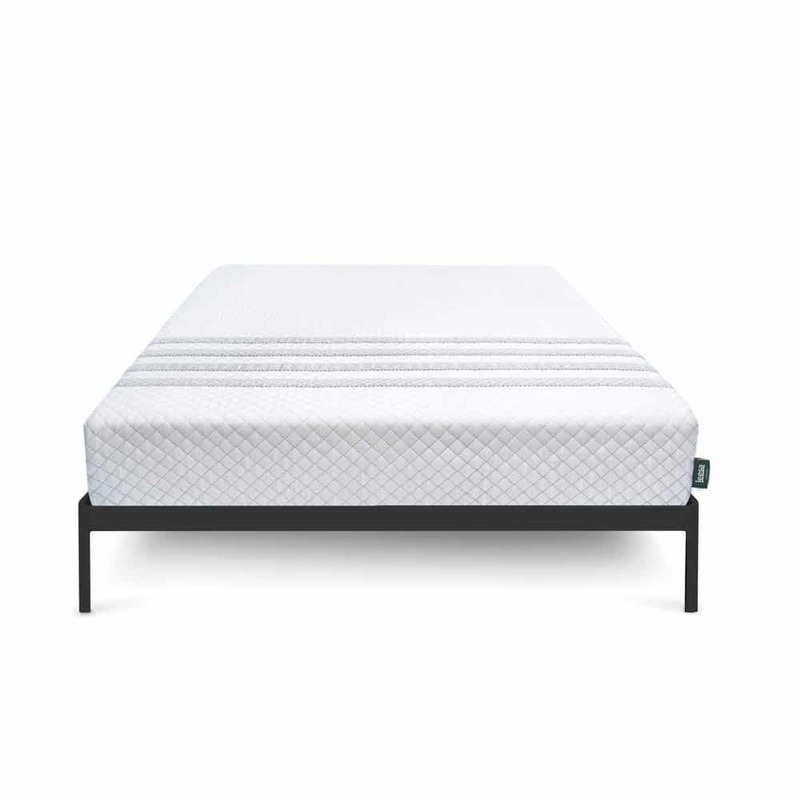 It’s also one with the best mattress under 2000 reviews that rate this as a stunning purchase and Talalay favorite. Our third choice from the list is the Pure Green Natural Latex Mattress, which we chose for its ability to provide the most natural comfortable and healthier night’s sleep, free from any harmful chemicals, materials or substances entirely. In concluding, we believe all the mattresses reviewed here offer the best mattress for under 2000, and all work to provide you with that perfect night’s sleep for many wonderful years to come. Top 8 Mattress for Side Sleepers – Find The Best Support For Your Hips, Neck and Shoulders!